Enhance employee productivity and time efficiency through webRTC video call SDK into your existing platforms. With our enterprise video chat solution, transfigure the internal & external collaboration in real-time conversation on the go regardless of mobile and desktop applications. Empower real-time learning experience by creating effective video collaboration between students, and educational experts. With Mirrorfly’s Video chat SDK, foster your e-classroom, tutoring, virtual classrooms, and entire learning management system. Schedule, interact and enhance decision makings of your recruitment screen process in a real-time video chat by integrating our video call API into your application or website. Magnify retention, engagement and customer satisfaction instantly with a peer-to-peer video call between customer & executive. Allow customers to interact in real-time through integration of video call API on Android, iOS & Websites for better user-efficiency and conversion. Deliver insightful solution and immense care to your patients through our patients video calling app. With Mirrorfly’s Video chat API & SDK, enable healthcare professionals to share medical reports and real-time chat under a secure application. Reshaping the gaming community conversation to a new level of real-time video chat experience with our video chat SDK to boost engagement and social activity. Additionally, create multi-party video chat sessions & virtual games sharing to provide true-gaming experience. Bring immense video interaction between users, and brands to empower your social app’s engagement & communication through seamless integration of webRTC based video chat API. Additionally, increase audience participation, bolster fun and retrieve existing users. From determining the ideal building blocks, experts’ in-depth involvement in choosing the right technology stack and creating roadmap from pre-deployment, Mirrorfly understands your every business communication demands. Our feature-rich video APIs & SDKs bring you the flexibility to build highly scalable & unsurpassing video chat app. Contrive the best of WebRTC video chat app to any of your business expectations with Mirrorfly’s video call SDK and API through customization of UI, hosting, add-ons and core functionalities. Mirrorfly’s expert understands in choosing ideal technology, configurations, and infrastructure to build an exceptional video chat app that runs effectively across platforms and consumes lesser space. Diminishing the buffering of video calls by relying on WebRTC signaling, Mirrorfly’s video chat app initiates the routing of transmission between the servers to offer top-notch real-time video chat experience. Providing flexible development of video call functionality & control over handling loads of incoming & outgoing calls through a hassle-free integration of Video calling API from your back-end server via HTTP protocols. Experience HD resolution video calling on web and mobile application with H.264 encoder. Optimize the overall video calling data usage through converting video into a compressed format and vice versa. Offering high performing Video chat SDK & API to initiate video calling to perform seamless interoperability on cross-platforms & browsers (Chrome, Opera, Firefox, Safari etc.,) to enhance the user chat experience. 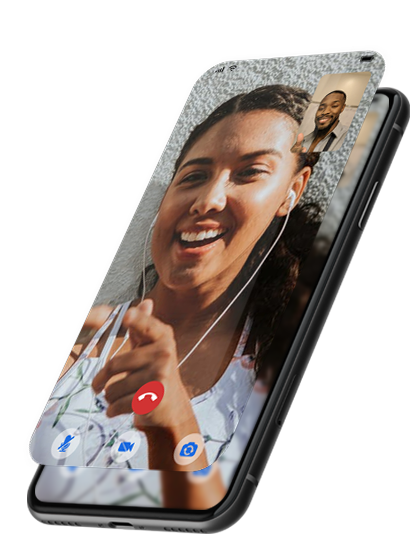 With Mirrorfly’ video calling solution, connect users in a whole of about 5 participants or individual for a lively conversation on the go. Our video calling SDK for mobile & web serve beyond the possibilities to make secure & peer-to-peer video group chat on Android, iOS & Websites. Experience easy sharing of files to N number of users within a group or individual through drag-and-drop. Share any number of file formats that includes documents, multimedia (audio/video), images and graphic files. Capture live video chat sessions for archiving and playbacks. Whatever the recording sessions, Mirrorfly’s video calling SDK & API integration allows recording of video calls under an encrypted platform to meet all your recording possibilities. Make peer-to-peer multi-party or video conference connection by integrating video conferencing API on website & mobile apps to set up ample meeting space with global clients. 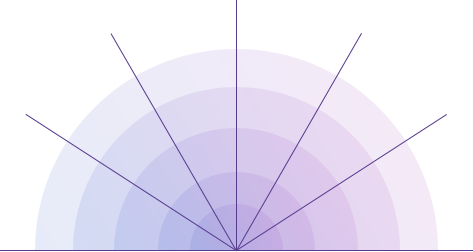 Our server-based video conference SDK scales up to maximum number of participants with ultra-low-latency tolerance. Empower with 360º view of your video chat app through granular authorization in order to track usage of the data, manage organizational users, monitor groups/channels and access the analytical reports within a dashboard. Explore a complete insightful analytics of your video chat application or conferencing app to understand the performance of active participants, geographical users and export the overall result for better decision makings. Reduce the entering of spam accounts sign ups into your video chat application through Mirrorfly’s video call SDK. The lookup toolkit progressively enhances the relationship between the users. A real-time sharing of contextual information during a discussion or conference helding within the channel or group. The feature lets the user share the highlighted information on the video chat screen for effective productivity and lessen the time. The video chat conversation carried between the client and inter-server are completely encrypted to protect against unauthorized access. Moreover, the entire client-server is routed through a DTLS connection for an extra layer of security. The entire data is a relay on our TURN server which cannot be decrypted or accessed in a peer-to-peer connection. Mirrorfly ensures whether the direct connection is encrypted with multiple layers of security. Mirrorfly offers additional security, where you can use your own TURN server through our video call API to replace and disregard the complexities of WebRTC integration in a real-world network. Routing the conversation loop as an encrypted connection with the usage of Advanced Encryption Standard (AES) 265 bit, Mirrorfly ensures the end-to-end connection between the users and servers are secure for making video calls.